A description of the celebration and rememberenace of the 1934 Teamster's strike in Minneapolis. 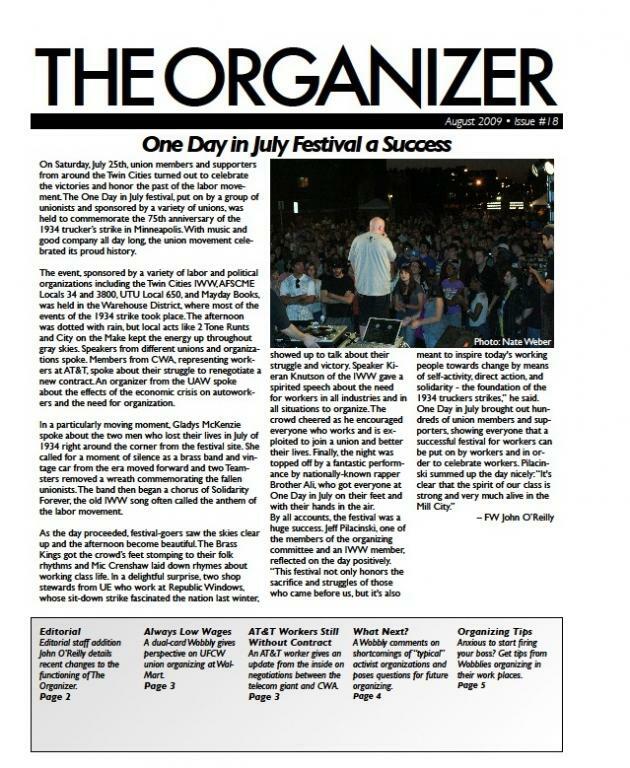 Editorial staff addition John O’Reilly details recent changes to the functioning of The Organizer. A dual-card Wobbly gives perspective on UFCW union organizing at Wal- Mart. An AT&T worker gives an update from the inside on negotiations between the telecom giant and CWA. A Wobbly comments on shortcomings of “typical” activist organizations and poses questions for future organizing. Anxious to start firing your boss? Get tips from Wobblies organizing in their work places.